A 10 year old child from a non-member family is being baptized into the church. The mother has given consent despite the stepfathers diapproval. The family has drug and alcohol problems and there are mental health issues at play for the mother. Although her mom gave consent, there is really no home support.The missionaries have never been allowed in the home. Should she be baptized? I feel it puts her at odds with her family. 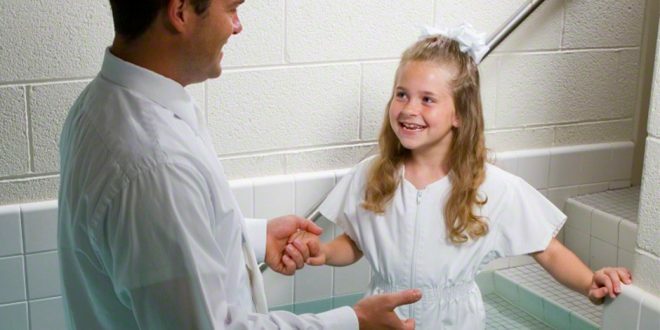 I understand your concerns, but would it not be better for that child to have her baptism, the Gift of the Holy Ghost, the support of a loving ward and Church programs to support her in these trials? I am not just speaking theoretically here. Years ago, there were three young women in my ward that came to church without their families. One of them could have been the girl you describe, her situation was so similar. Today she is active in the church, was married in the temple, her children who are old enough have been on missions including a daughter, and married in the temple. Of the other two girls, one is active, married in the temple etc, and the third is not active as far as I know. So my answer is absolutely, yes, don’t underestimate the strength of that 10 year old, or deny her the blessings that come with being a member of Christ’s Church. Was Elijah the last Melchizedek priesthood holder until Christ? Or did he just take the sealing keys with him? Elijah retained the sealing keys, but he was not the last Melchizedek priesthood holder. Elisha was next, followed by other prophets up to Malachi, the last prophet of the Old Testament. Also, there were prophets in the Book of Mormon during the same time period, so the Melchizedek priesthood was present for quite a while after Elijah. I just wondered if the church celebrates any saints’ days like in the Roman Catholic church? We celebrate special events directly connected to the Gospel of Jesus Christ as many other Christian faiths do, such as Christmas and Easter. Along with these we celebrate special events directly related to The Church of Jesus Christ of Latter-day Saints and its history. Events like the publication of the Book of Mormon, the early pioneers and their trek across the plains of America to find and settle in the Salt Lake Valley. We honor individuals who contributed greatly to the Church including Joseph Smith and Brigham Young. However there is no station in the Church equivalent to the Catholic idea of a Saint. We remember people like James E. Talmage who wrote several very spiritual books including Jesus The Christ and The Articles of Faith. 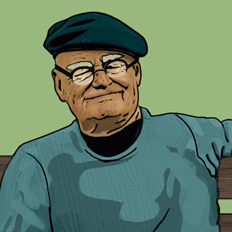 We remember Hugh Nibley for his contributions to explaining and defending our faith in clear and sound ways. These people are prominent in what they did for strengthening the church as a whole, yet that is all they are, prominent people we want to remember. Could you explain to me my line of priesthood authority as given in my patriarchal blessing? When was the Aaronic Priesthood in the Mormon Church first given to teenagers? 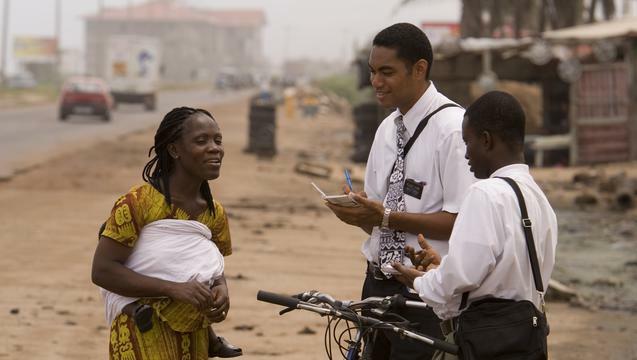 Blacks and the Priesthood Why is authority needed to baptize?